Is This End Of The Line? “As kids, we used to sit on the stoop in Brooklyn and harmonize. I used to imitate Joni James,” Barbra told Life magazine in 1970. “I also ... sang her hit, ‘Have You Heard,’ at club auditions, but I didn't really want to sound like her,” Streisand elaborated to the New York Times. Indeed, James sang “The Way We Were” that evening, accompanied by Marvin Hamlisch on piano. Her performance was cut from the final television airing of the AFI show. 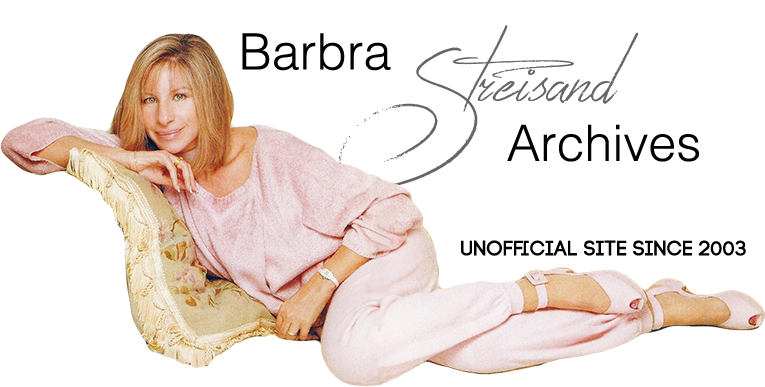 Then in 2002, EMI-Capitol Records released a 2-CD James retrospective, and Barbra Streisand was asked to write a tribute to her childhood singing idol.